DAY 93. 8 AUGUST 2016. TOWARDS HOME. On Sunday night I watched the sun set over the 'End of the Earth'; Finisterra. On my previous visit in July there was thick cloud and no views, but this time several hundred of us watched the sun slip slowly under the horizon. 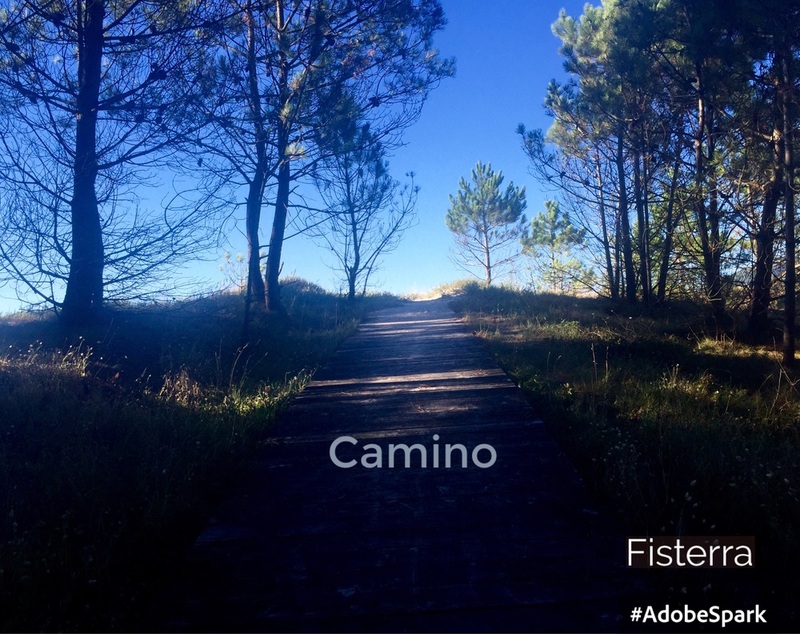 A very special time to complete my Camino. 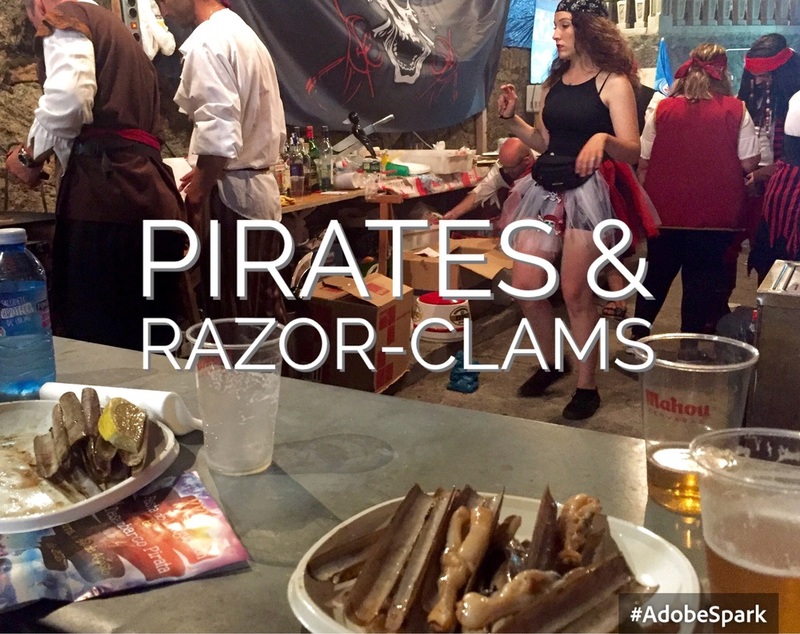 Then we walked down The Cape in the deepening dusk to join the 'Razor Clam and Pirate Fiesta' in town for a final seafood feast - sadly I forgot to pack my pirate costume. Yesterday Ian and I returned to Santiago by bus; a glorious ride along the coast with pine forests, long silver beaches and fractured-granite uplands. Now, I'm sitting in the airport savouring my last Santiago cake and cafe con leche. pilgrim they called you again and again. 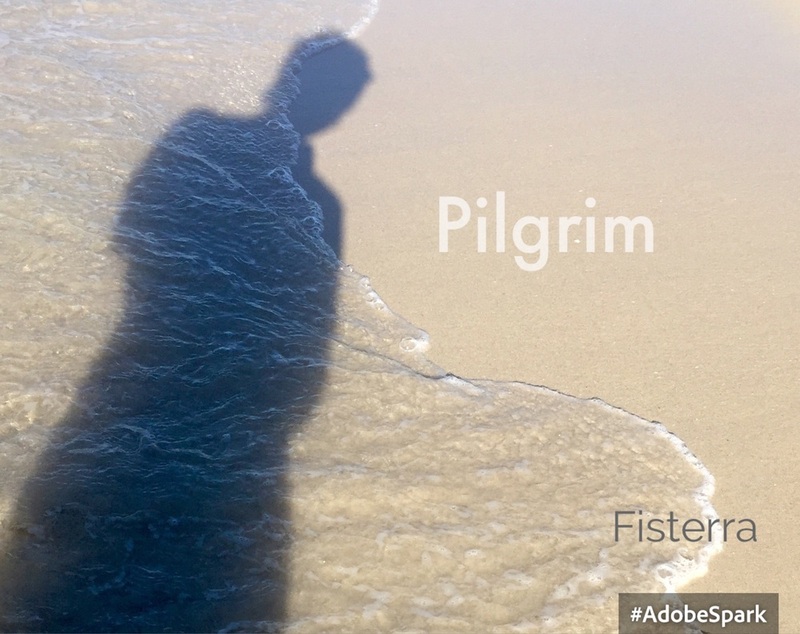 Pilgrim.